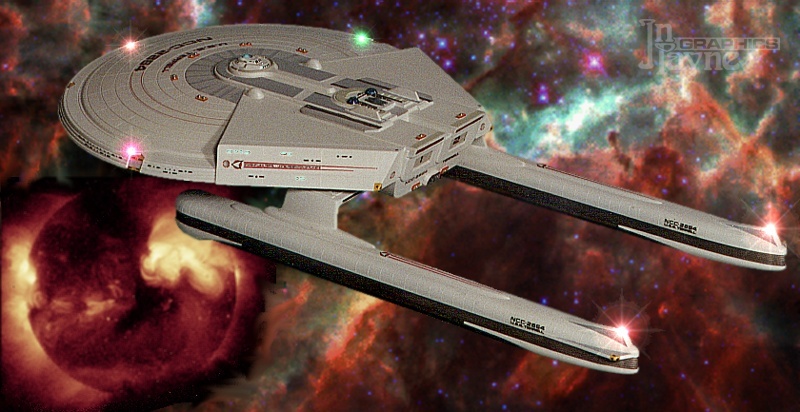 TERRELL was a frigate descended from the Miranda class vessels such as USS Reliant. 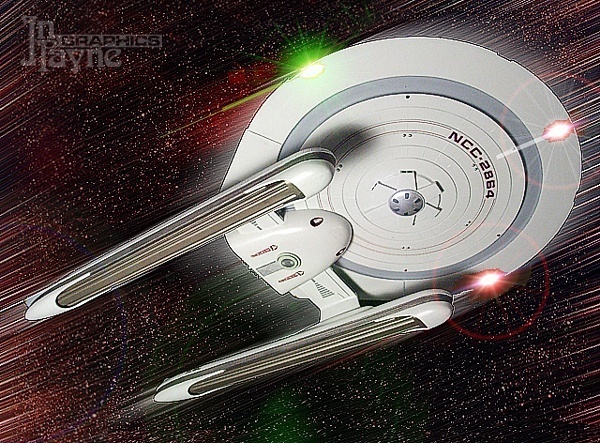 Terrell was based on the later, larger, Excelsior class ships' primary hull, with additional superstructures built on to make a more compact starship with little sacrifice of internal volume. Her primary mission was patrol and defense, but here we see her on a scientific mission investigating the husk of a dying star. 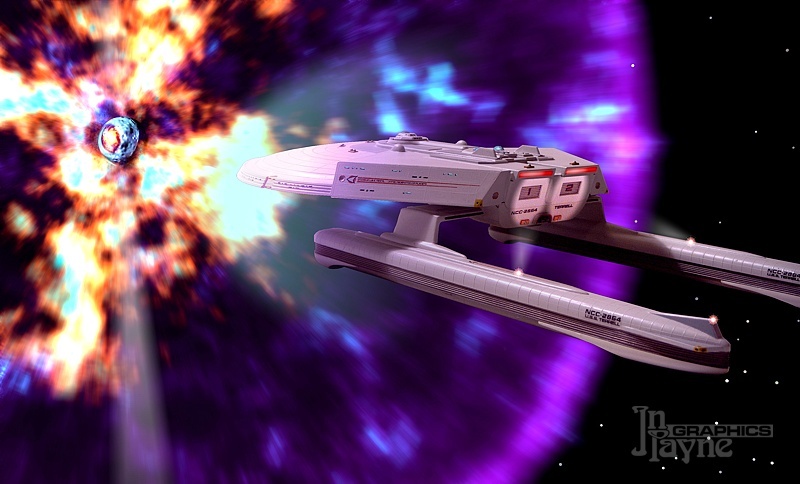 Terrell's shields flare as the dying star erupts a layer of atmosphere into space. 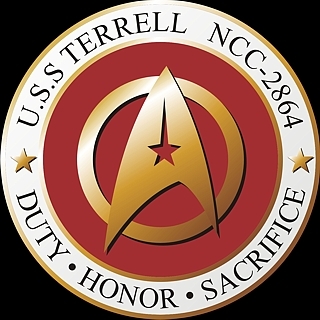 The ship was named for Captain Clark Terrell, who gave his life in the line of duty during the Genesis incident in 2285.